New Delhi: The health ministry has asked the finance ministry to do away with tax exemptions traditionally given to the bidi industry and impose a uniform 28 per cent tax when the GST regime is rolled out. The health ministry welcomed the step to keep aerated drinks, tobacco products, luxury cars and pan masala in the “demerit goods” category and placing it in the slab of highest tax – 28 per cent and over and above a cess to be imposed on all these demerit goods, without any exception. However, the ministry expressed concern that despite regular tax increases on most tobacco products both at central and state levels, affordability of these products has been increasing even among the poorest of the poor. “It is therefore suggested that the cess levied under the GST should be high enough to make these demerit products unaffordable over a period of time. “The tiered tax structure for cigarettes needs to be done away with as these slabs are open to manipulation for products substitution and promotion,” the ministry said in a letter to the finance ministry. The letter also referred to Health Minister J P Naddas earlier letter to Finance Minister Arun Jaitley regarding the possibility of levying a sin tax on all demerit products and earmarking the funds for health sector investments. The letter also referred to the suggestion that the proceeds of the health cess be used to fund the Rashtriya Swastha Bima Yojna. 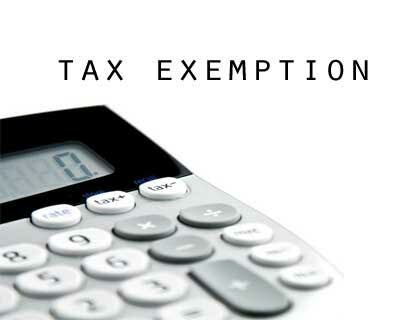 The letter highlighted that under the GST it is proposed that the business having an annual turnover below Rs 20 lakh will be exempted from this tax. The health ministry recommended that such exemptions should not apply to those producing demerit goods like tobacco, aerated drinks and pan masala. It argued that such an exemption was earlier given to bidi industry wherein units producing less than 20 lakh bidis were exempted from paying Central Excise Tax. Taking advantage of this exemption, bidi manufacturers closed bigger units and started producing on small scale under different names in a clandestine manner, resulting in huge tax evasions. Further, this policy has shifted the production base to the homes of the poor and disadvantage that are rolling bidis in their homes, at abysmally low wages, devoid of any labour welfare benefits and being at the mercy of middlemen, the letter said. “It is therefore recommended that this tax exemption should be done away with and all bidi manufacturing units be duly licenced to ensure enforcement of both tax and labour welfare laws,” the letter said. Categorising bidis in the demerit goods category and imposing a high enough cess on all tobacco products to keep it at current levels of taxation may be one of the most critical public health and revenue decisions that the central and state governments can take which will impact the health and well-being of Indians.